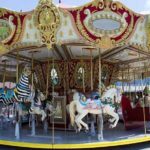 Carousel rides are one of the oldest rides that can be found in an amusement park, and even in this day and age, you can purchase genuine antique carousels to display proudly in your park setting. With that being said, if you don’t wish to own an original antique, you can find some wonderful modern rides or great reproductions of old ones. 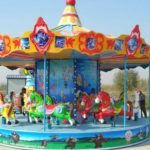 Amusement park owners often make the mistake of assuming that all of their rides need to be extreme and modern in order to appeal to visitors, when in fact, traditional carousel rides are still a popular choice among many. 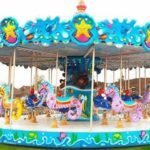 What are some of the great benefits of adding traditional carousel rides to your theme park? You really can’t have an amusement park without a recognizable favorite ride such as a Ferris wheel or a carousel. If you’re looking to keep your establishment running for years, it’s important to stock your park with rides that are of interest to visitors years from now. 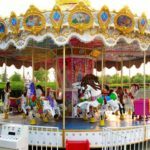 Carousel rides are recognized by young and old alike, and they lend that perfect nostalgic appeal to all parks. 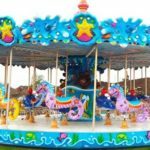 Many rides are considered fads that will fade with time, but carousel rides have been around for well over a hundred years and their popularity is hardly waning. If you are going to invest in one ride that is timeless and can service your park for decades, it should be a carousel ride. It can last decades with minimal maintenance and its appeal is etched into the hearts of all visitors. 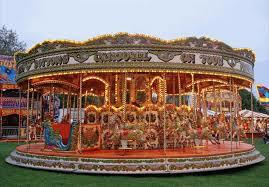 Though often thought of as a kiddie ride, carousels aren’t just for young ones. 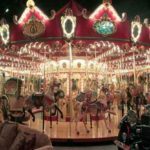 In fact, many adults feel more comfortable and at ease riding a carousel as it isn’t adrenaline inducing and it can even be relaxing. When you place the ride in a prime location, you can bet that pretty much everyone at your park will want to ride it at least once. Extreme rides can be fun and daring, but it’s important to mix in a few rides that can appeal to people that aren’t necessarily looking for that adrenaline rush. Are you looking to earn back what you spent on your ride quickly? If so, it’s important to choose rides that are not just affordable, but a timeless favorite among amusement park goers. 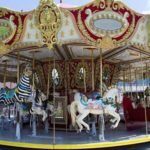 Carousels are guaranteed to give you a great return on your investment and you can earn back the money you spent on your ride in just a few short weeks! 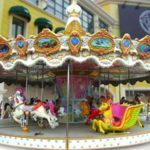 People may even choose to ride your carousel more than once, therefore, it’s an addicting ride that keeps visitors coming back for more. As an amusement park owner, it’s important to keep your park fun and fresh by stocking it with the latest rides. However, sometimes the most desirable rides are the classic ones that we all grew up with!